put off such ridiculous queries). Q. A bachelor is asked: When are you getting married? Are you running a match-making agency?. Or do you work as a marriage broker? Q. A married guy is asked: When are you planning for a child? As soon as I figure out how – do you have any tips or suggestions? Q. A couple expecting their first child is quizzed – Is it a boy or a girl? Do you want to accompany us to the doctor to find out? Q. A couple who has a child is asked: Aren’t you planning for a second child? Q. At a restaurant – asking the waiter if a particular dish is good? I have yet to come across a waiter who will say that the food in his restaurant is not good. Then there are those that ask you the most obvious questions..
You are drenched and they go – Q. Is it raining outside? You are watching a movie and they ask – Q. Are you watching a movie? 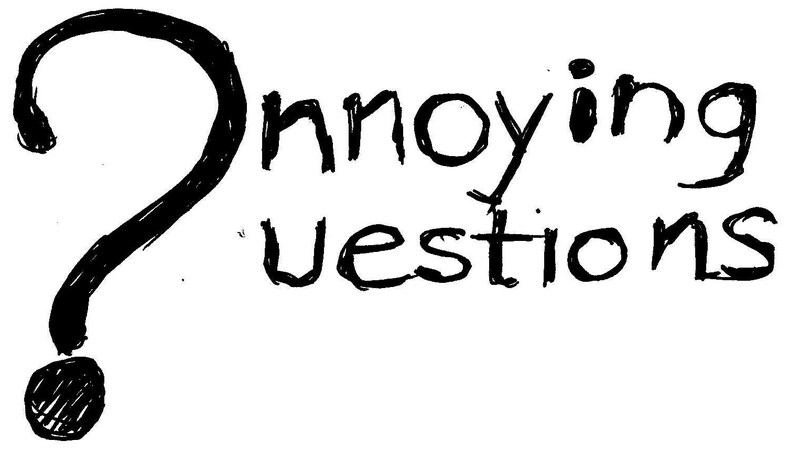 What are some of the questions that annoy you the most?